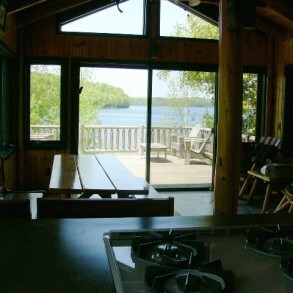 The Lakehouse is truly an “Up North Get Away” located on the east side of beautiful Lake Ann. 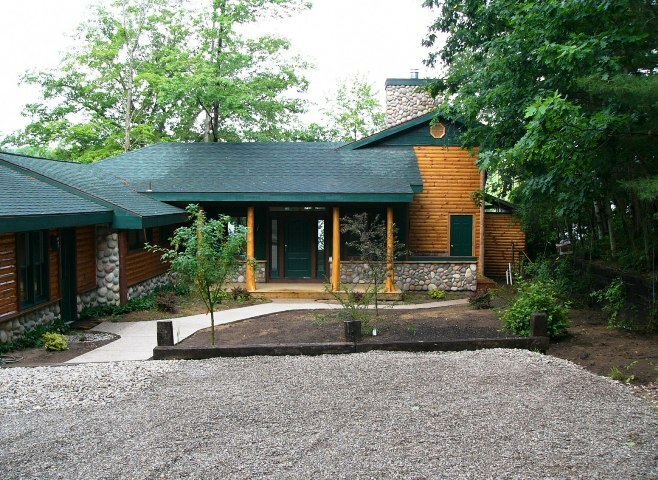 This sprawling cottage has plenty of room for everyone in the family. 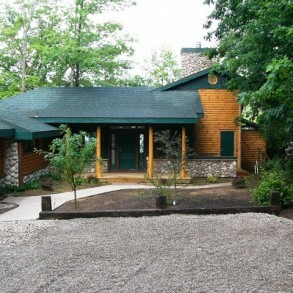 The cottage has 2 wings with a large family room in the center. 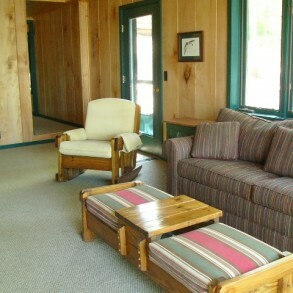 There is living space and kitchen/dining space in each wing. 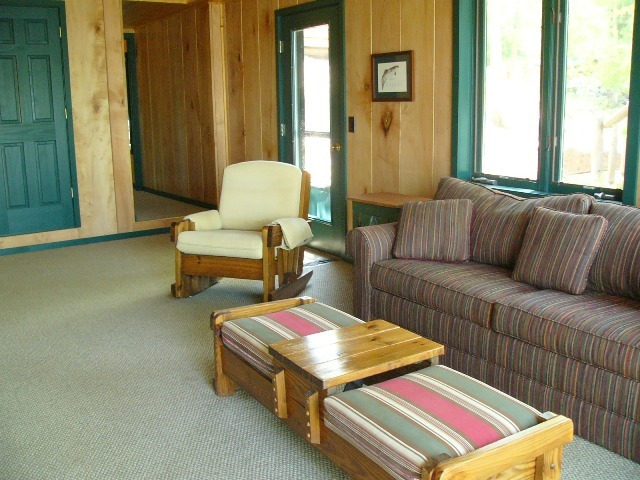 The main wing has a mater bedroom which features a king bed and half bath., bedroom 2 is for the young (or young at heart) with a set of log bunk beds, bedroom 3 has a queen bed. 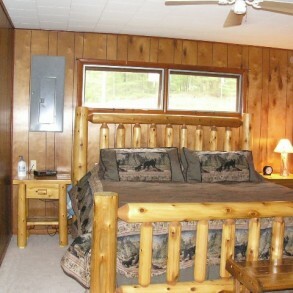 In the far wing there is the 4th bedroom with a queen bed and full bath. 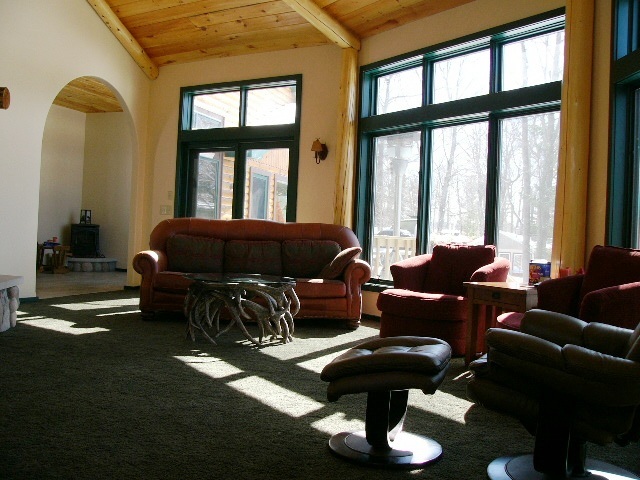 The large family room in the center features a huge stone fireplace, flat screen TV and lots of windows to enjoy the beautiful view! This cottage has shared frontage and dock with other cottages (call for more details). 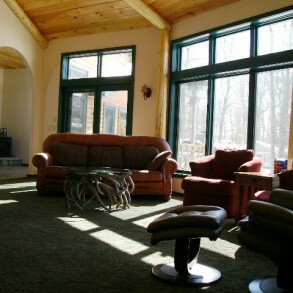 The decorating is definitely “Up North” with a stone fireplace, hand crafted furniture and large picture window overlooking the lake is a perfect setting for your vacation. 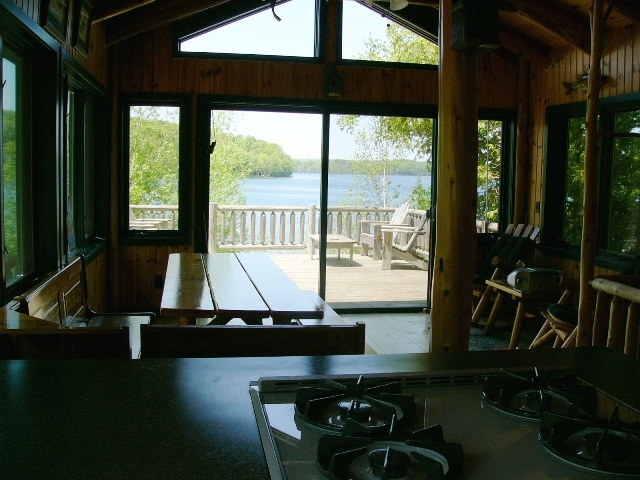 The kitchen is fully equipped for a full dinner or just a quick breakfast. 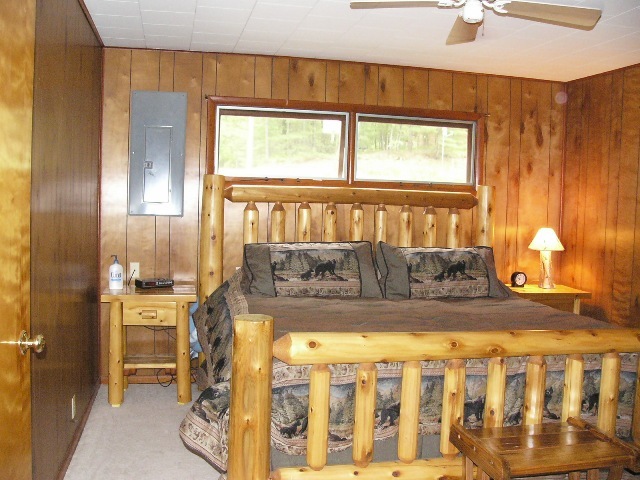 Enjoy star gazing from the deck and if you’re quiet you may see the deer out for a stroll for a drink at the lake. 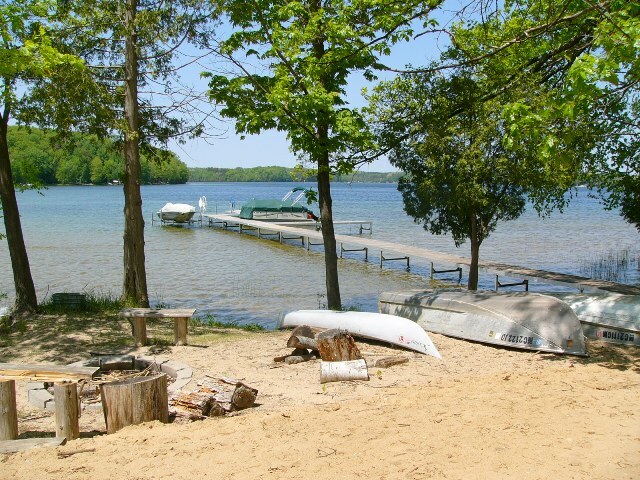 Lake Ann is an all sports lake, with something for everyone from relaxing on the sandy shore to water skiing around the lake. 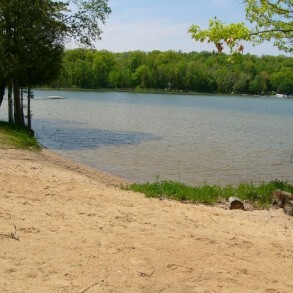 A chain of lakes and streams connect to Lake Ann for kayaking & canoeing. 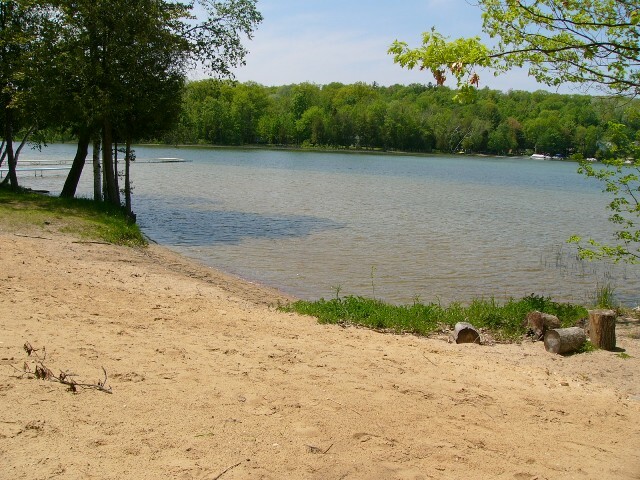 The The Lakehouse is just 5 minutes from golf at Mistwood Golf Course, 10 minutes from Interlochen Arts Academy where you can enjoy the music of James Taylor to Savage Garden. Or you can take the family to the Cherry Bowl Drive for old fashion fun with the current movie favorites for your family to enjoy. 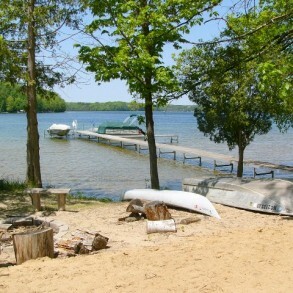 We are located just 15 minutes from Traverse City one of the top tourist destinations in the country.